As if to show what expectations actually count for, the two Merc drivers that were meant to be giving no quarter at turn one in fact were on their best behaviour. Nico calmly blocked the inside line and Lewis didn't make a big deal out of it. Nico led and the pattern was set from there. While the guy that was supposed to take advantage of intra-Merc shenanigans in Sebastian Vettel was the one whose day unravelled from this very point. Daniel Ricciardo tagged his rear tyre with his front wing and punctured Seb's Pirelli (the clash seemed one of those things though you might make the case that Seb could have given more room; Seb reckoned Ricciardo was to blame but was pretty much alone on that one). Seb once his tyres had been changed continued a while and often showed pace that would have had him running with the Mercs, but it seems in 2015 the rare days that go wrong for him go really wrong (see also Bahrain). He later spun, had other lairy moments then binned his car properly. He made no bones about it being a bad day in the office, and that the blame was his. 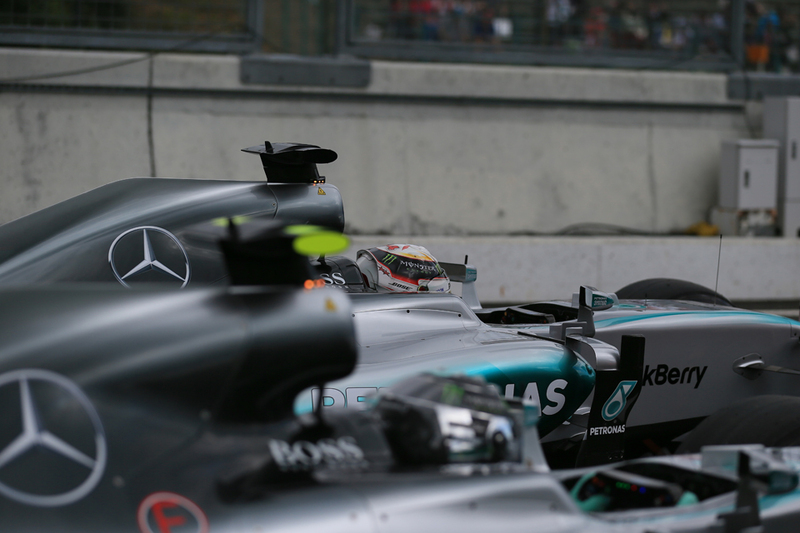 And it all ensured that the fight for first place was once again a very private Mercedes affair. One that ended pretty much how it started, but there was no outward let-up in the intensity along with the way. Nico and Lewis traded fastest laps for much of the distance, but Nico in something of a role reversal always seemed to have something in hand to keep himself just out of his team mate's reach. At the very least, Lewis appeared sufficiently riled to ensure that if he had any reserves of pace in there to get with Nico he'd now use it. He may have been hinting further at the point later in the post-race press conference when he noted that "it was fairly easy. 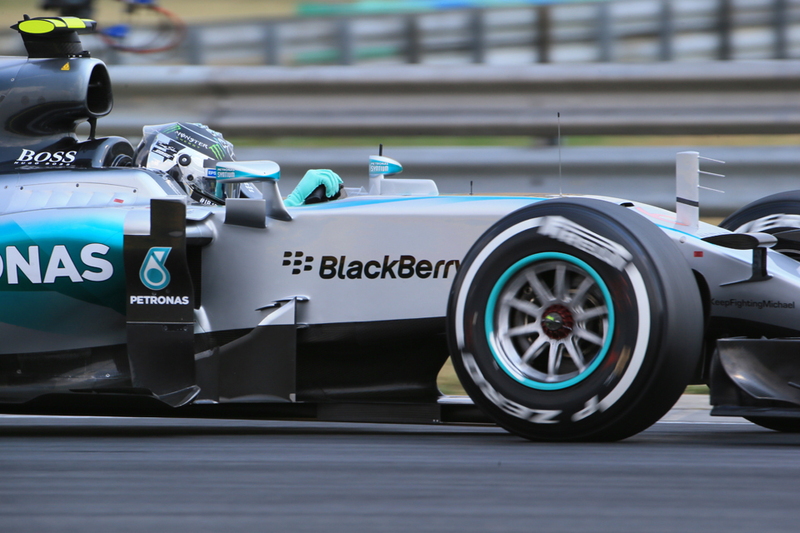 There wasn't much degradation on the tyres if any." The point became moot thanks to a later safety car appearance, which would have left Lewis on old tyres rather a sitting duck. In just ten laps of green flag racing to the end though the Mercs were able to get there more than 12 seconds before the next guy. They definitely weren't cruising. Both indeed had little trips off the track to emphasise as much. And for Nico, he can be content that the win was not in the least stage managed. But for all that Nico perplexes a simple concept is that he has been in good form lately. In Austin he was excellent until his late 'gust of wind' error ceded victory. In Sochi he led until a throttle problem put him out (someone pointed out that if you reverse both of those Lewis's championship lead would be a mere 27 with two rounds left - in stark contrast to what we got things would be far from done in other words), and he even was pretty good in Suzuka and essentially lost the race at that round's very own first corner intra-Merc contretemps. Yet it can equally be argued credibly that it is no coincidence that Nico's good spells of form have come when the pressure is off, such as in recent times when the title has been very nearly, or very actually, gone. Indeed even in 2014 when he took the championship to the wire his best performances either came when he had little to lose as everything he did was a surprise, or in the year's last gasps when Lewis had at least one hand on the championship. Such arguments can wait though. Nico's win this weekend was a fine one and very nearly flawless. And given how low he was seven days ago this seems a very timely bounceback for him. 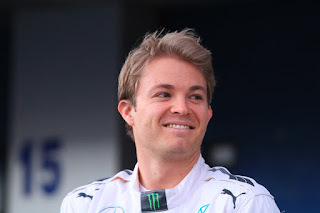 The major risk right now is that his team mate buries whatever remains of his confidence, but Nico this time ensured that he won't be able to do that just yet. And as a bonus he got a rapturous reception from the locals upon his triumph, them even chanting his name before and during the stadium section's podium. Indeed Lewis perhaps revealed more of a wound by the outcome today than he intended by saying afterwards: "Nico drove really well today, no mistakes, no gust of wind..." Miaow. He added that his inability to get near Nico was down to a few old F1 problems. "I was pushing the whole way it's just that you can't follow. Soon as I'd get four, five, a few car lengths behind, just to lose the aero, and he had perfect aero so it was impossible to get close enough but I had good pace - but as soon as you get closer and closer and closer you lose all your downforce." He nevertheless added that it was "a fun race". Nico meanwhile was very pleased with life right now: "Very very good, it's a great feeling. Very happy, and really I mean it's just the podium, the podium was so spectacular, the best I've ever experienced I think for sure. Incredible." And he insisted once again that his resolve wasn't related to the various dramas of a week ago. "I put it behind me, you have to do that otherwise it's not going to work out. 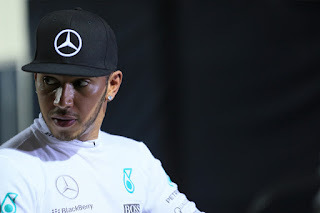 So, just the usual approach this weekend, just felt comfortable from the word go, good car, good race pace also I was able to control Lewis, always one eye on him, whenever he would come a bit closer I put the throttle on a bit more." The safety car intervention had a bit more effect further back, not least for the identity of the guy who completed the podium. 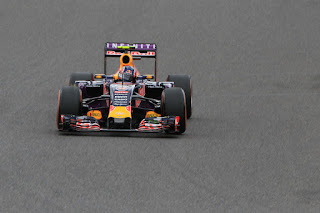 For most of the way Daniil Kvyat took up the role of best of the rest in fine style, looking comfortable in third place. And after his prang in Austin had got some tongues wagging that the famously pitiless Red Bull system may be ready to boot him out it was all highly timely. However the safety car period got Valtteri Bottas right onto his tail, and indeed he cruised by with his extra horsepower on the main straight right after the safety car went in, giving him a third place that he kept. Both Williams had stopped early and were really struggling for grip before the safety car rescued them, so without this the Finn would have been nowhere near. The Russian was rightfully rueful afterwards, but he had the consolation that Christian Horner thought it was his best drive of the year. 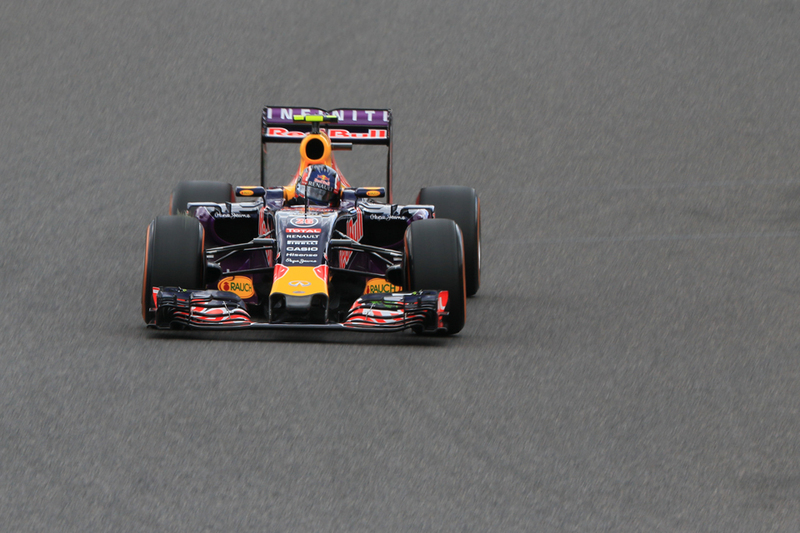 Their respective team mates followed them home with Ricciardo ahead. Kimi Raikkonen completed Ferrari's misery by tangling with Bottas (again) fairly early on and ending his day there and then. It seemed what fault there was belonged to Kimi as he rather turned in on the Williams as if he expected it to disappear, and there was no doubt that he knew it was there. The stewards took no action which may have reflected the feeling that nature had provided sufficient retribution by itself. That Kimi however - almost alone - said afterwards he had nothing to reproach himself for and that Bottas was at fault seemed a worrying lack of self-reflection. 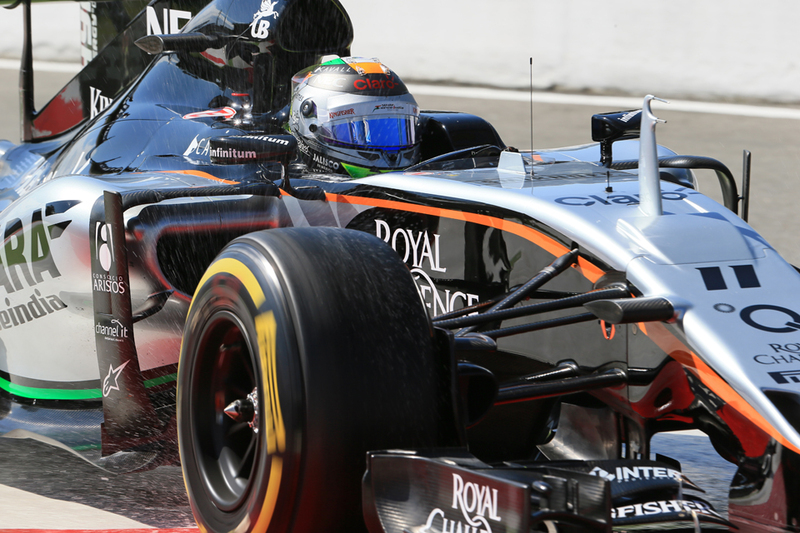 Home hero Sergio Perez also got some points for P8, him following home his team mate Nico Hulkenberg. Perez looked another that might be messed around by the safety car as he wasn't able to pit then for fear of losing track position. He managed to hold onto his position until the end though, despite circulating on tyres that had done some 53 laps. It is quite Checo's party piece. Max Verstappen and Romain Grosjean completed the scorers. More generally though this new (but not new) round went brilliantly. Although, in that unfortunate way as often seems the case, the actual opening race was on-track a little on the tepid side, as anticipated the crowds were wonderful in every sense - in total 335,850 came through the gates with 134,850 on race day - and the atmosphere they created was indeed something else. A new favourite round has been created with it. Certainly for Nico. For now, anyway. There have of course been false dawns before with him. As outlined he does like to riddle, and with that has come periodic disappointment us as well as the pleasant surprise. But this weekend he did demonstrate at least that he's not quite done yet. And perhaps did so in the nick of time.